Is Estrella Mountain Ranch where you are thinking of moving? Here are some photos from the area. I believe I took this first CantaMia photo when I was on the way to view the model homes and it shows how neatly the grounds area is kept. There were not a lot of people around the pool area on the trip to the model homes but on the way back to the CantaMia Village Center there were several people lounging around the pool. Can you imagine living in this community year round. It’s like living in a luxury resort year round. I love the homes in Goodyear near Estrella Mountain Ranch. SEARCH HERE -Goodyear AZ for your CantaMia at Estrella Mountain Ranch in Goodyear Arizona – CantaMia Home. 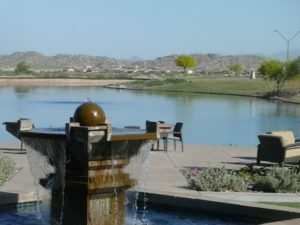 CantaMia is west of Phoenix located in the Sonoran Desert in Goodyear, Arizona. Some call it a trip up the hill!!! It’s located in the Sierra Estrella Mountains in the Southwest Valley. There are several communities in this area of Estrella and the nice part about CantaMia is the use of the facilities including the nearby Lake area for sailing and fishing. Plus this is an active, adult community over 55. 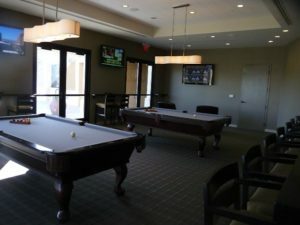 It’s different because they have taken into consideration many of the things baby boomers want in a retirement community. 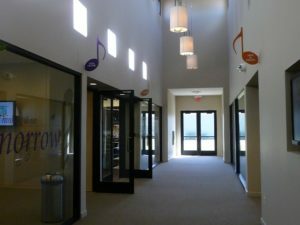 They have Jazzercise classes, an Arts & Crafts room, Computer area with classes, Lounging areas, a Community kitchen that has a chef come in and have cooking demonstrations and more. Are you thinking of moving to Estrella Mountain Ranch in Goodyear, AZ? 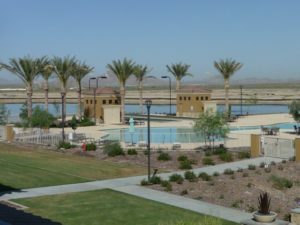 There are some terrific Goodyear Arizona lakeside homes and many different models to choose from plus lots of designs available at CantaMia, It’s a great location outside of the Metro Phoenix area. Here is a little clip showing the area nearby the Model Homes. Peggy Elias is a REALTOR® with HomeSmart at the Arrowhead location, in Glendale, Arizona. I am a fan of Design, Great music, Awesome coffee, and Healthy cooking. I feel like I am an Arizona native but I actually moved to Glendale over 35 years ago. I have extensive knowledge of the local Glendale, Peoria, Sun City, Surprise and Goodyear communities. As A Glendale, AZ Realtor® I try to help educate Arizona home buyers and help guide them through the home buying or selling experience. From the time you are just beginning to think about owning your own home until you are stepping through the front door I want to help guide you. Many times the first steps are the hardest. Reaching out to speak to a Mortgage lender or Realtor® makes the commitment seem all to real.